Do you remember the When I grow up print from Society6 that read “When I grow up I want to be a rock star-cowgirl-tap dancer-princess-school bus driver-cupcake sprinkler.” Well I was looking around Stephanie Corfee’s Etsy site thinking she looked familiar and realized that’s how I knew her! 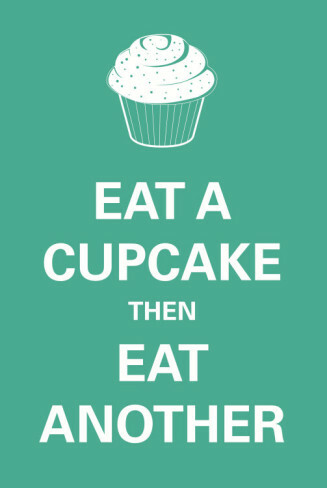 I love this Cupcake print that she has listed on her Etsy! It’s colorful, its fun, and it’s only $18.00. You can tell that Stephanie Corfee is a cupcake fan! Do you pinterest? I am obsessed with it! I love seeing what everyone else is pinning and coming across great finds like this Paris vs New York print titled L’Obsession. It’s so true that in Paris macarons are available everywhere while New York is filled with cupcake shops! The print is available on society6 starting at $35.00. I just made my first visit to Northern Michigan’s first and only cupcakery: Simply Cupcakes of Traverse City. What a lovely little spot in downtown Traverse! An impressively wide selection of offerings included Banana Cream, Peanut Butter Cup, Hint of Mint, and Lemon Love, and while we sampled many, the winner was clearly the (pictured) Bumpy Cupcake: A rich dark chocolate cake stuffed with buttercream (which tasted more like mousse), and topped with homemade chocolate ganache and more buttercream, then dipped in chocolate ganache and finished with a few sprinkles. Holy wow! That cupcake was a meal. I was impressed with how substantial the cupcakes were. They weren’t dense, but there was certainly something to them! And the frostings were non-traditional and left me wondering about their secret recipe. 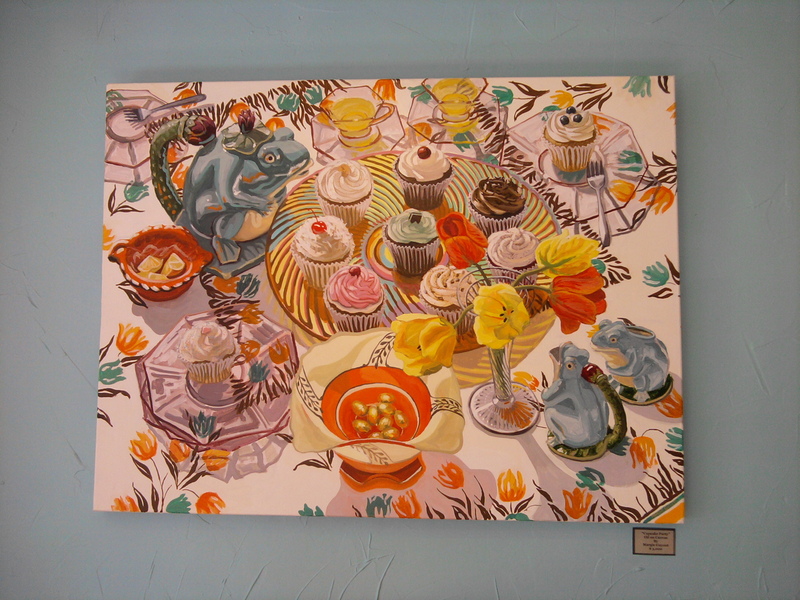 The cupcakery itself is also a tantalizing hangout, with a “cupcake room” one can book for special events. 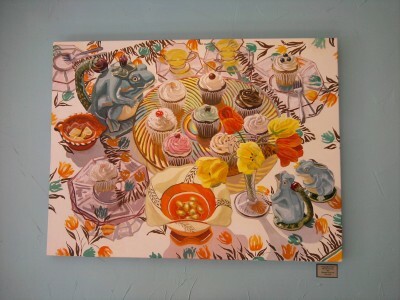 Cupcake art hung on the wall, including the beauty below, which could be yours for $3000! 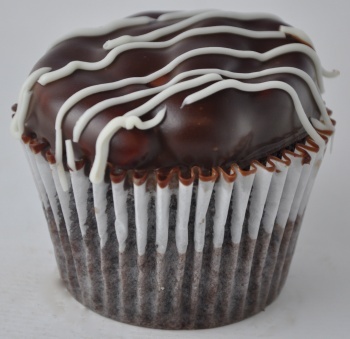 If you’re in the area, Simply Cupcakes is a must-stop for the cupcake-lover! Over the weekend I spent some time browsing around Society6 checking out some of the different artwork the site has to offer. 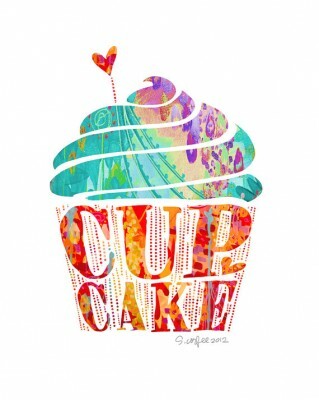 I loved some of the fun cupcake prints that are available! 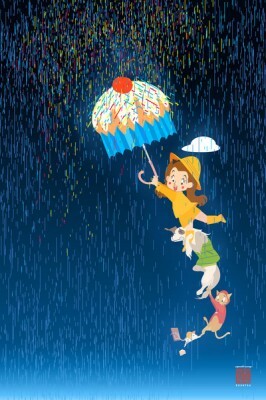 Since it’s been raining the past few days in North Carolina the Pick Me Up On A Rainy Day print seems perfect. 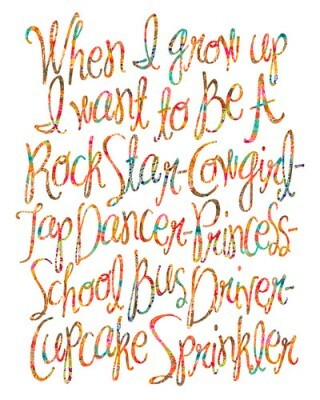 I also really like the When I Grow Up print, I would love being a cupcake sprinkler too! The Operation Cupcake Printwas another one that I liked. 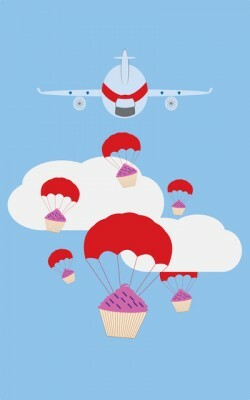 I love that the cupcakes were brave enough to jump out of the plane! 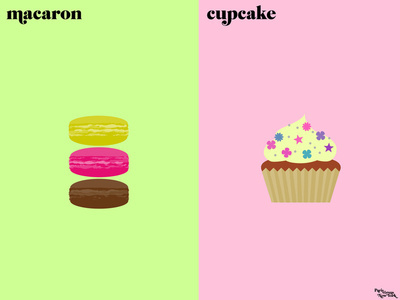 Each print is available in different sizes and there are lots of other cupcake prints to choose from!